For gamers old enough to remember the classics titles of the ‘90s, Shaq Fu was certainly not one that many will speak of with much love, with many condemning it to the list of the worst games of all time. 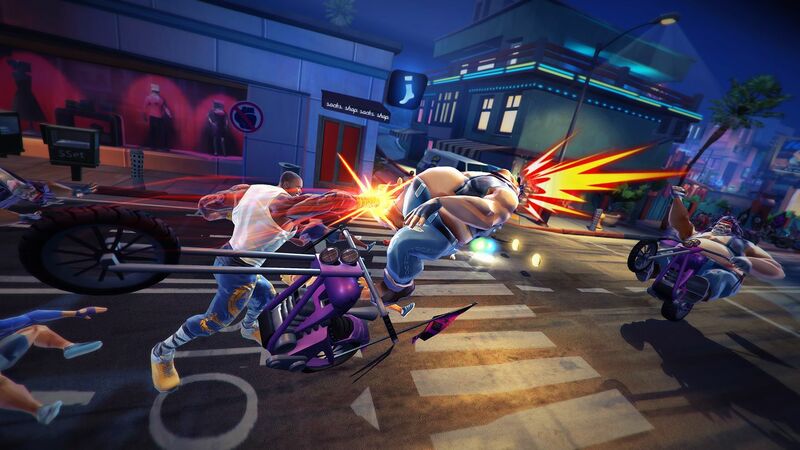 It’s not the 1990s anymore though and with plenty of time passing since that dreadful first appearance in the gaming world, Shaq is back in Shaq Fu: A Legend Reborn. Is the latest adventure starring Shaq’s size 22’s one worth heading in to? So, Shaq Fu: A Legend Reborn is a 2D beat-em-up adventure and a fresh attempt at revitalising the previous disappointment in the series. 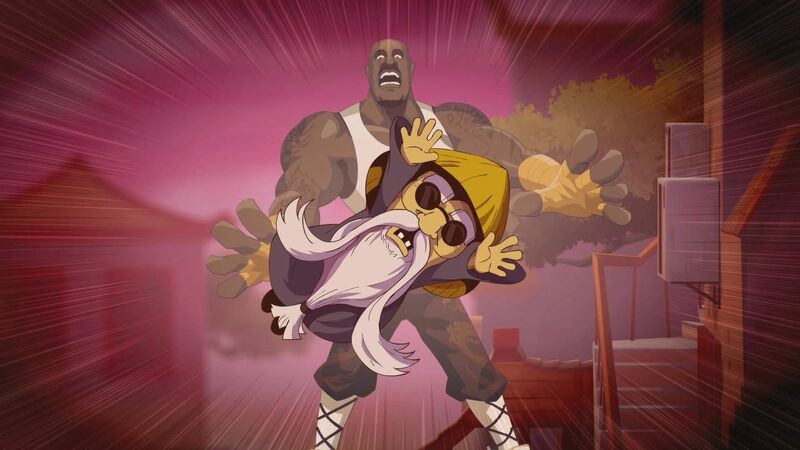 Throughout the game, players take on the role of professional basketball legend and superstar Shaquille O’Neal, known in the game as Shaquille Fei Hung. His role in the game is much more heroic than that of his sporting achievements though, and whilst you’ll find comedic self-referential hints to his 7ft 1in stature and his humungous size 22 boots, all mixed in with the rather humorous comments that litter the game, his basketball life isn’t really something you’ll be hearing about. Instead Shaq’s story starts with a backstory of how he was taken as an orphan in the Chinese town of Hunglow, located in Talldong Province. With just that one line you can start to tell the type of humour Shaq Fu is all about, and you can be sure there is plenty more of it from start to finish. After being bullied for years over his size, one man, a village elder named Ye-Ye, takes Shaq under his wing and teaches him the martial art of Wu Xing. Later on, Shaq learns of his destiny to stop Yen Lo Wang, an evil demon attempting to take over the world by weakening the intellect of the people and turning them into moronic subservients. Through a connection with Ye-Ye via a Gold Bond, Shaq must take down all of demons disguised as celebrities, before finally catching up with Yen Lo Wang to put an end to the demonic madness and save the world – the act he must complete to fulfil his born destiny. After watching multiple videos within the opening sections of the first few levels, I have to say I was pretty keen to see how things turned out. After all, it’s not everyday that one of sporting’s biggest stars takes the defining role in a game that has nothing to do with the sport they play in, but still manages to remain relevant. Unfortunately, whilst the videos are enough to get anyone excited, the gameplay certainly blows all that straight out the window. Shaq Fu: A Legend Reborn is a pretty standard side-scrolling beat-em-up adventure that can be played on easy, normal or hard difficulties – none of which are overly taxing – with the majority of the action boiling down to spamming the attack button and moving into the correct position to make contact with the swarms of enemies trying to get the jump on you. Sadly though, as this is generally the only thing you do within the game, it doesn’t take long for it to become overly repetitive and terribly boring. When taking on enemies, players can attack with either a simple punch/basic attack, a ‘Size 22’ kick, a Shaq Wave which comes across as a Donkey Kong style ground pound, or a Shaq Smash shoulder barge type sprint. There’s not really anything more to any of these besides the occasional special attack which can see players kick enemies and knock them out in one hit, however these are built up from successive enemy attacks and have no real button combo – that I could notice at least – to activate. There is the occasional powerup within each of the six levels that bring in Diesel or Shaqtus powerup suits, with Diesel allowing players to punch through any and every enemy with ease and Shaqtus delivering a cactus outfit that fires unlimited needles. Whilst these options may sound fairly varied though, by the end of even the first level, combat already comes accross as heavily repetitive and over-used. The enemies themselves come in with a decent variety, with each new level bringing a handful of new enemy types, patterns and attacks, but with such a limited move set for players to get hands on with, it wouldn’t ever matter if there were even hundreds of enemy types… it would still feel repetitive. One thing that is enjoyable are the bosses. Each stage brings a new boss with a full comic book style intro that really sets the mood for the battle. Throughout the game these are by far the most enjoyable fights to take part in and give a great break and variation from the typical enemies found during the levels. Away from the gameplay though and we must talk about the visuals – the art style in particular. 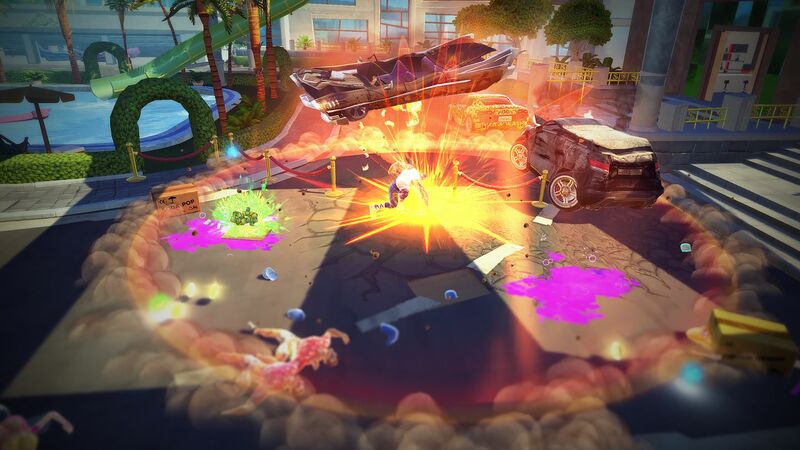 The game is designed with a cartoonish 2.5D style and from the first level to the last, everything looks absolutely brilliant, with oversized captions bulging out from actions. Pretty unique locations have been included too and these give off their own vibes to ensure that it’s fair to say the design work put in is fantastic. But whilst the art style is a joy and the comedic nature of the game and constant one liners are sure to crack a smile, the gameplay is certainly lacking. 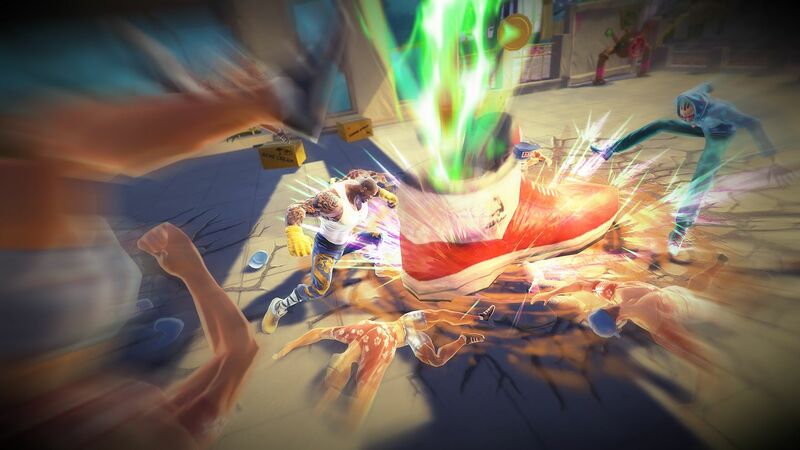 With minimal variation to attacks, repetition proves unbearable after the first few levels, and that never allows Shaq Fu: A Legend Reborn to become the legendary tale we have hoped for. Although the story is fairly decent, the short length that it comes in at – about 3 hours – isn’t enough to tell a memorable tale and with combat proving a mind-numbing experience, this is one you’d probably be okay to leave on the shelf for a rainy day.